Over the past decade, downtown Birmingham has grown from a weekend ghost town to a blossoming landscape of activity. No longer can it be classified as “dead” when the weekday ends. We can thank events like Secret Stages for that. Secret Stagesis “Alabama’s Music Discovery Festival” where lovers of all genres can enjoy two full days of music from 60 different bands across 7 stages. Located in the heart of downtown between Morris Ave (known for its gorgeous cobblestone streets) and 2nd Ave, and 22nd and 24th Street North, Secret Stages fills the gap after the well-known City-Stages folded in 2009. “We are committed to supporting local music,” says Sam George, creative director of Secret Stages. “We wanted to be sort of the antithesis of City Stages by featuring up-and-coming bands.” George explains the reason behind welcoming the lesser-known bands instead of pulling in the big-names that City Stages was known for: “So that people can come and discover new favorites”. The spirit of Secret Stages is to team up with local venues to create a pub-crawl type of atmosphere where music-goers can enjoy places like Matthew’s “M” Lounge and Rogue Tavern. 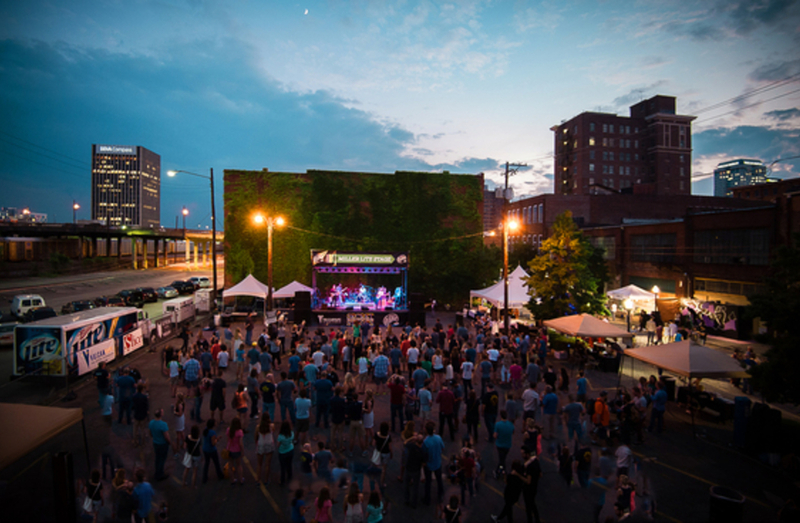 There are endless venues to try, as well as nearby urban greenspace Railroad Park. 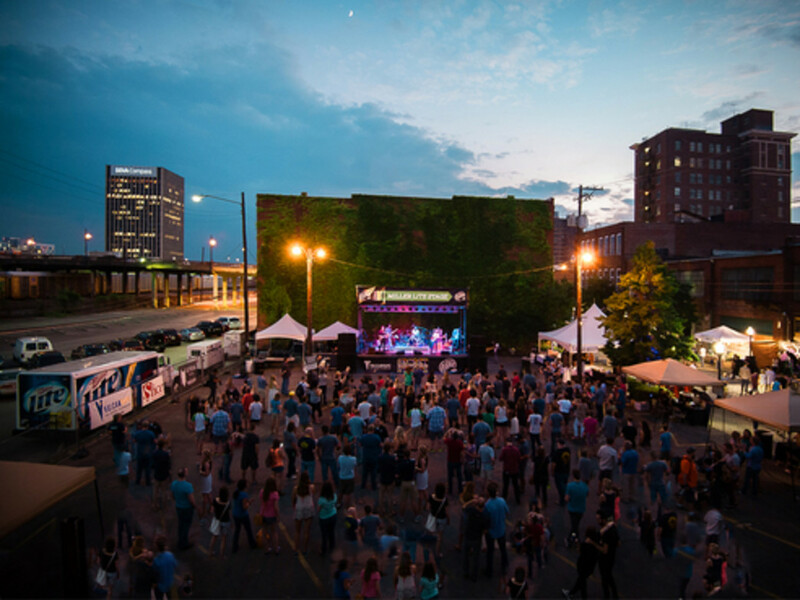 Just park at Birmingham’s city center and peruse the entertainment on foot, rock out to some amazing music, and grab a taste of Birmingham’s delectable food. Although 2015 is a big year for Secret Stages because it is their 5th year anniversary, not much is changing from years past besides a “doubling-down” of what made it great before. There are new initiatives on the festival footprint such as incorporating art interest. This year there will be twice as many graffiti artists than last year, which will allow music-goers to see artful graffiti live in action. Every year, organizers and designers creatively rebrand the face of Secret Stages to keep it fresh and feeling new. This year the theme bears elements of mystery with the website featuring the face of a secret agent over a criss-cross of drumsticks. This is essentially the idea behind Secret Stages and a major contribution to the increase in popularity year after year – fresh originality at its best. 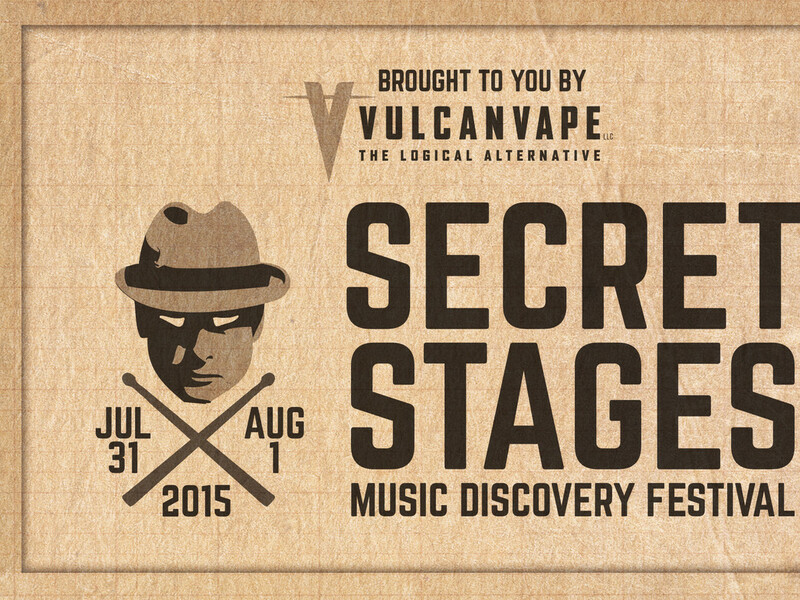 Keep your calendar open July 31 – August 1, because Secret Stages is a music festival that you won’t want to miss. With 20% of proceeds going to Scrollworks Youth Music School, you’ll be buying tickets with a purpose.